Selling a home in today’s market can be challenging and I understand this. Hundreds of homes are sold each month in Calgary. What’s the difference between selling your home or failing to do so? The Details. Whether it’s my sales approach, effective marketing campaigns, or utilizing our existing network, at Orieta Zelazo, no detail is overlooked. I have all the tools needed to sell your home. If you’re serious about selling your home, I’m serious about getting the job done. PROFESSIONAL PHOTOGRAPHY - Highlight your property with high-resolution, professional photos. Composing and visualizing the final product is an art. I use one of the best property photographers in Calgary to providing you with the highest quality images. PROPERTY VIDEO - I believe one of the best ways to capture prospective luxury home buyers is to create cutting-edge content for engagement. I offer my clients innovative video design from an international, award-winning senior Cinematographer which incorporates techniques such as aerial footage. My property videos focus on the premium features that the properties have to offer and an exclusive inside look at the homes – leaving prospective home buyers craving more. 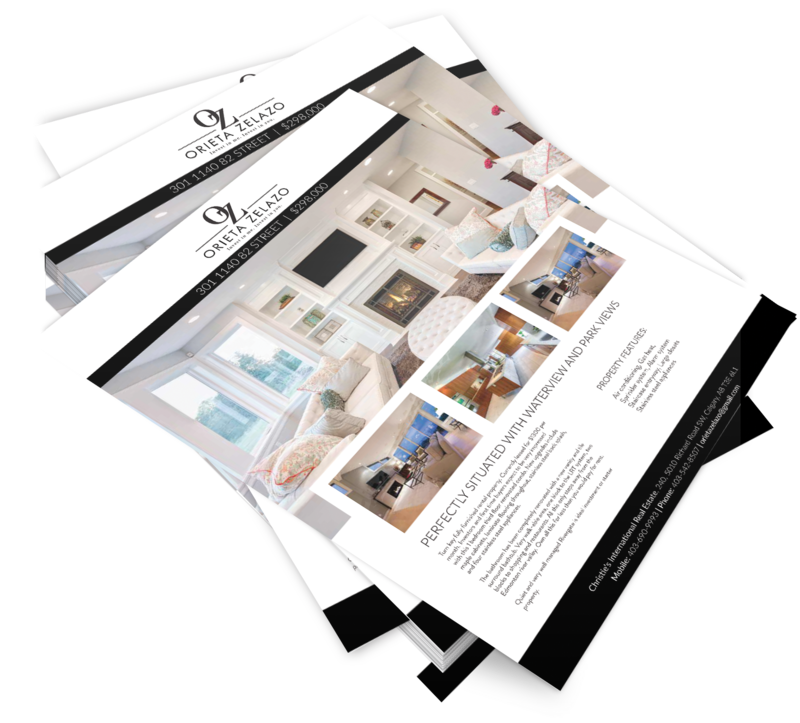 PROPERTY BROCHURES - Your home will be distinguishes with a professionally printed property brochure. I provide each listing with a full color, high resolution custom feature listing brochure and make them available to all potential buyers viewing your home. MARKET EVALUATION - A comprehensive market analysis will be created specifically for your home. Together I will review the analysis to create a pricing strategy based on your goals and my evaluations of the homes in today's marketplace. This approach coupled with an understanding of market conditions ultimately leads to clients receiving the greatest return on their investment. SOCIAL MEDIA CAMPAIGN - I embrace social media as part of my marketing tool set to get your listing the best possible exposure and reach. My goal is to generate more visits to your listing via my own marketing than are created by the typical MLS® and REALTOR® systems. I can augment it and get your listing exposed in marketing channels that did not exist a decade ago. 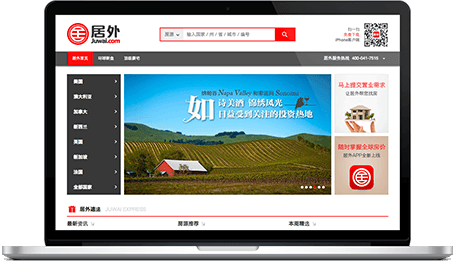 ONLINE PRESENCE IN CHINA - All my new property listings are featured on Juwai (Asian property listing site) and will be translated to Chinese. Juwai can be found on the top Chinese local search engines like Baidu. Juwai provides a full range of services to help feature listed properties in the right language and behind China’s Firewall. Juwai also markets your listing on the right mobile and social channels, and provides the research and statistics to tailor my strategy to reach today’s massive audience of Chinese overseas property buyers. EXCLUSIVE AGENTS OPEN - With the owner’s permission, an Open House for the Realtor community & qualified buyers will be held.